Terraria's new artist introduces himself and shows some screenshots for the upcoming update, which he promises to be "really big." Terraria, best described as "Minecraft-but-in-2d-with-wicked-pixel-art," will soon have a rather substantial update for its PC version. In order to help develop this update, Jimmarn (Jim) has been hired as a new artist, and in his self-introduction on the Terraria forums, he teases a few screenshots of a new "winter" biome, and describes his role in the game's development in a bit more detail. "To be honest I do something in every category containing graphics/design. Everything from Tilesets, weapons, items, props, npcs to player graphics," said Jim. He promises that the update is going to be "really big." 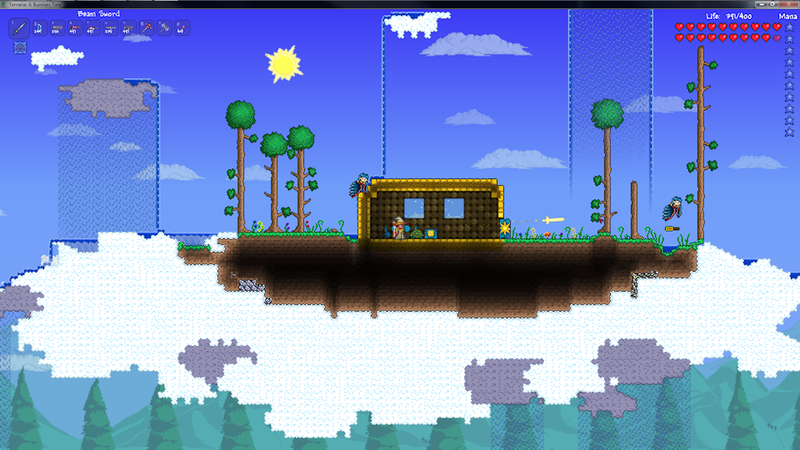 Terraria had a bit of a sordid history with its PC gamer fanbase. For a while, everything was all fine and dandy, with the developer releasing regular, free, content updates for the game. But one day, it simply went dark for quite a while, returning only to announce a console version of the game with a ton of new content and features. Developer Redigit confirmed that the new content was console exclusive, and that no new content would come to the PC. Quite understandably, the game's loyal PC fanbase were up-in-arms. There was even some controversy from within the development team, with Artist Tiy apparently leaving the team to start up his own project in Starbound, which recently opened pre-orders in a Kickstarter style fundraiser. 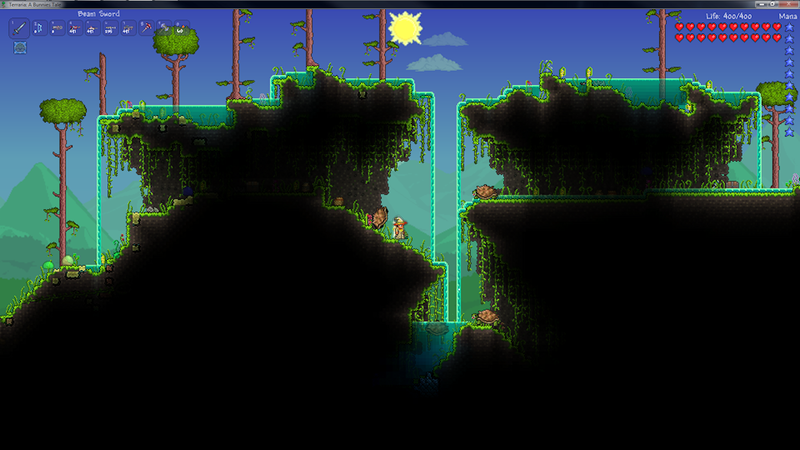 So, in an attempt to pull his fans back to Terraria from the impending Starbound, Redigit teased a new update to the game earlier this month, showing off a new kind of floating island, and some updates to the jungle biome. These new screenshots, along with the ones Redigit teased earlier, show some pretty promising progress towards the game, and just might be enough to win back the PC gamers who were miffed by the console version announcement.